Estrella Escober – Joyful Development Inc.
Estrella Escober has been a client of JDI for almost 8 years. 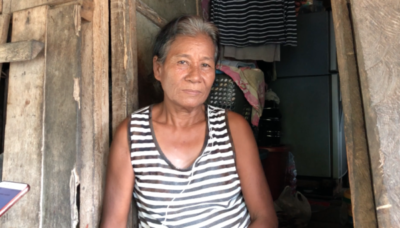 She retails coco lumbers in Dibutunan and thanks to the capital provided by Joyful Development Inc, she managed to increase her activity and open a sari sari store. During her five loans, Estrella Escober has never been delinquent. She insists on the fact that JDI is really helpful as long as you use the money lended in your business.